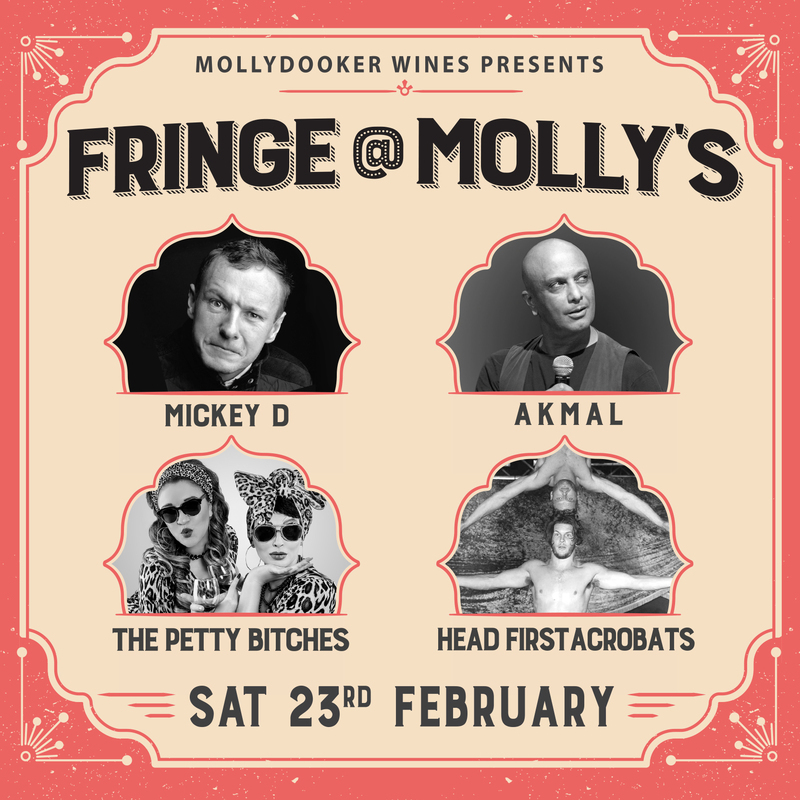 After a hugely successful 2018 event, we are excited to once again host Fringe @ Molly's on the 23rd of February 2019! Be thrilled and delighted by four fantastic acts on the picturesque lawns of Mollydooker Winery. An afternoon of Mollydooker Wines, belly laughs and amazing feats from some of the best comedians and acrobats that Adelaide Fringe has to offer. This year's event will see four world class acts take the stage to create the ultimate Fringe experience. Prepare yourself for side splitting comedy from The Petty B*tches, Akmal and Mickey D and heart stopping acrobatics from Head First Acrobats! Don’t forget to bring your picnic rugs or low chairs, Fringe @ Molly’s is strictly a no BYO event. Mollydooker Wines is an exciting, out of left field winery in the heart of McLaren Vale. We love nothing more than hosting our friends at our picturesque Cellar Door. We've assembled an amazing team to bring you a Fringe event like no other; the ultimate mix of good food, good times and incredible wine.